Over/Under: Over 149.0 at 1.90 Bet Now! This will be the first time that these two teams have clashed, so there is going to be a bit of history made this week. Las Palmas have played in Poland before but this will be their first visit in six years. Given that the hosts like to take care of possession and the away team arrive in good scoring form, it could be a contrast of styles on Wednesday night. Given that Stelmet are yet to win a Eurocup game at home this season, you may forgive the home fans for being quite concerned going into this game. They have managed to make progress thanks to their stunning away form, they are 4-4 in the Eurocup this season, but you have to think that home form will come into it at some point. The 0-4 record at home so far in the competition is quite remarkable and it is something that probably needs to be resolved before too long. However, the hosts do have a very good defensive record, which is the second best amongst the quarterfinalists. Stelmet have allowed an average of 73.6 points per game, which is not bad going. Gran Canaria are heading to Poland in good form, knowing that they have won six away games on the bounce. When you add in the terrible home record of Stelmet, it does make the away team look the clear favourites for this game. They arrive in great goal scoring form, topping the scoring charts with 88.4 points per game and they also have a record of an average of 19.2 assists per game and an average of 36.9 assists per game. 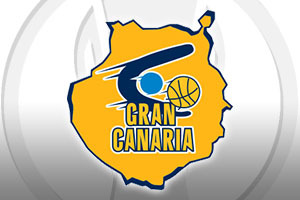 It would be fair to say that Gran Canaria look like one of the strongest teams left in the tournament. The away team have the backing of the bookies in this game and you can see why. You should be looking to take Herbalife Gran Canaria Las Palmas at -3.5, at odds of 1.90 for this game. If you are looking for the Over/Under market, there is a lot to be said for going OVER 149.0 at odds of 1.90. Bet Now!